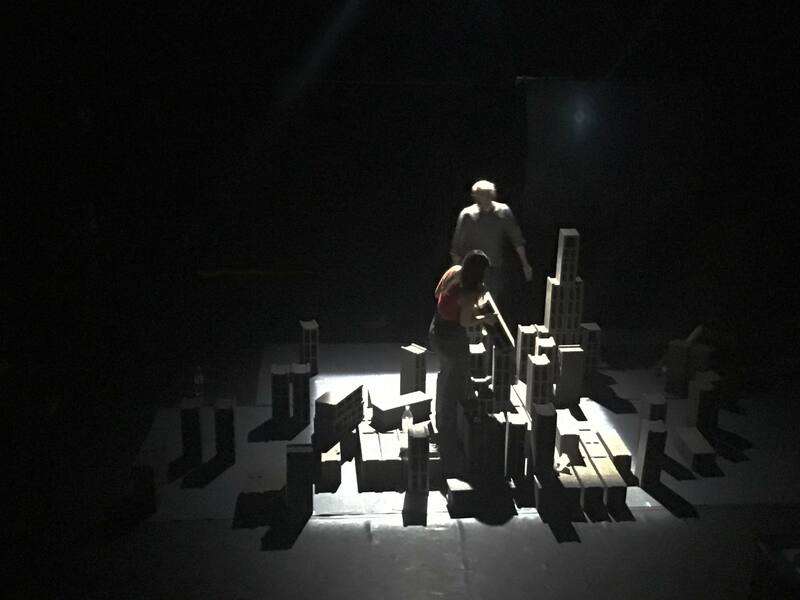 Scenography for CHRONIQUE D’UNE VILLE QU’ON CROIT CONNAÎTRE // Mise en scène Wael Qadour & Mohamad Al Arashi // Première le 15 janvier 2019 à la Manufacture – Mulhouse. Scenography for KINSHASA CHRONIQUES // Sète – MIAM (Musée des Arts Modestes) and (2020) Paris – Cité de l’Architecture // Curated by Dominique Malaquais – Claude Allemand Cosneau – Fiona Meadows – Sebastien Godret – Androa Mindre Kolo // [scenography and photo project]. 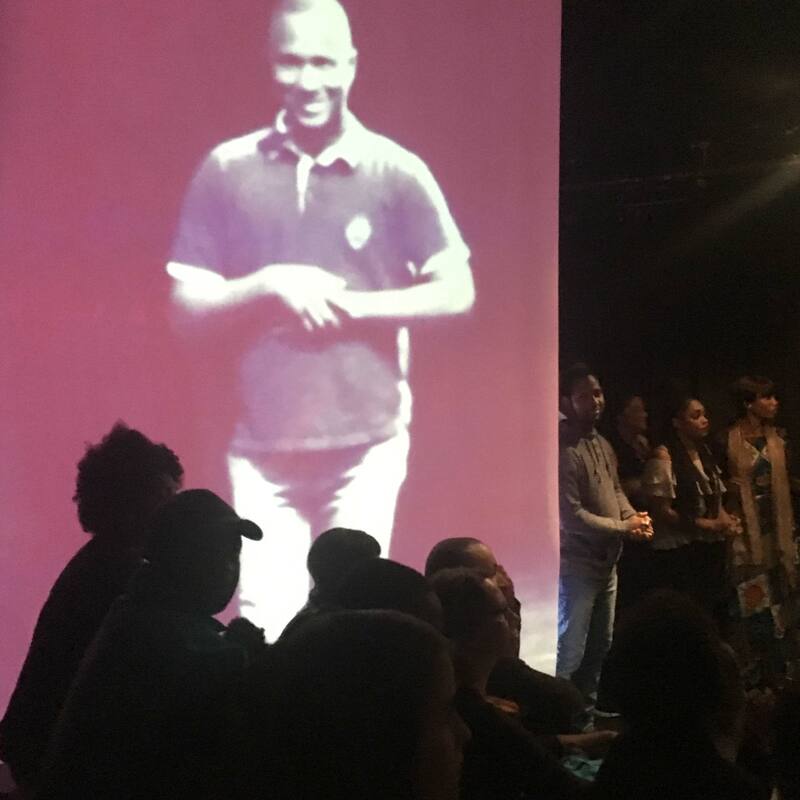 Fev 08 – Mars 16// DE QUOI SOMMES NOUS FAITS // Andreya Ouamba – Clarisse Sagna – Kouam Tawa – Press Mayindou – Catherine Boskowitz – Cyril Givort // [scenography and videos] // Dakar (public presentation at IF Dakar feb17 – and Atelier de Paris : premiere 16-17th of march. 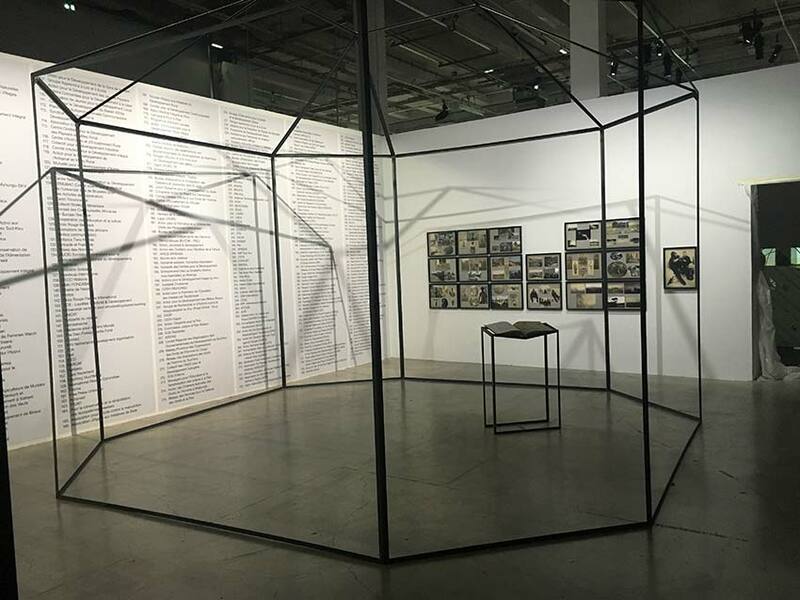 CHRONIQUES D’UNE RÉVOLUTION ORPHELINE @ MC93 Bobigny// Texts by Mohamed El Attar – Directed by Leyla Rabih // [scenography and videos]. 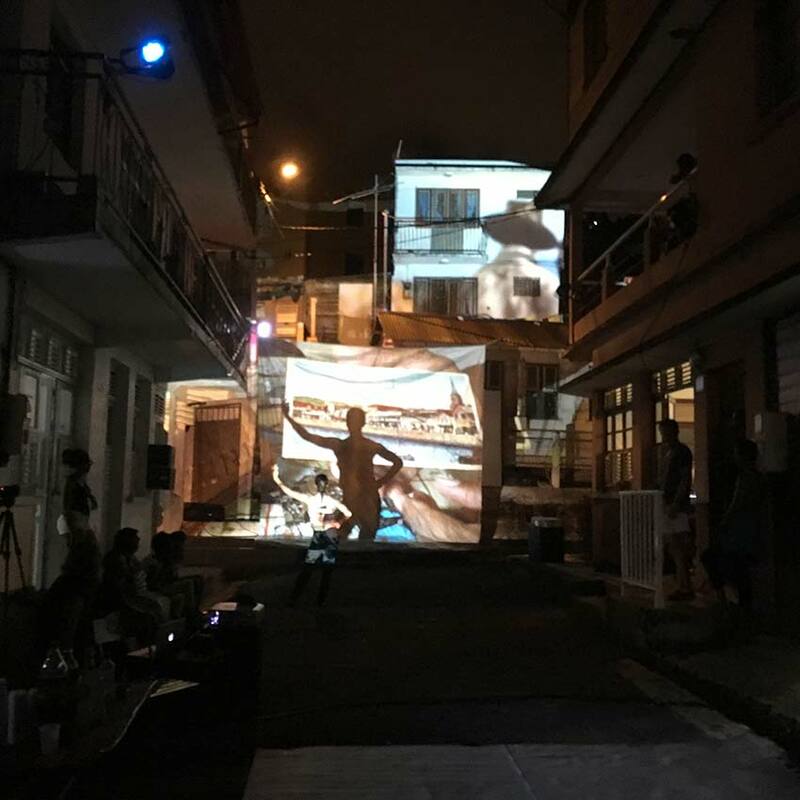 Nov 10 – 26 2017 // FICCIONES COTIDIANAS in Port au Prince // Festival Quatre Chemins // Catherine Boskowitz – James St Felix – Maria Flor Pinheiro – Elise Villate – & performers // Performance 24th nov Place Carl Brouard. 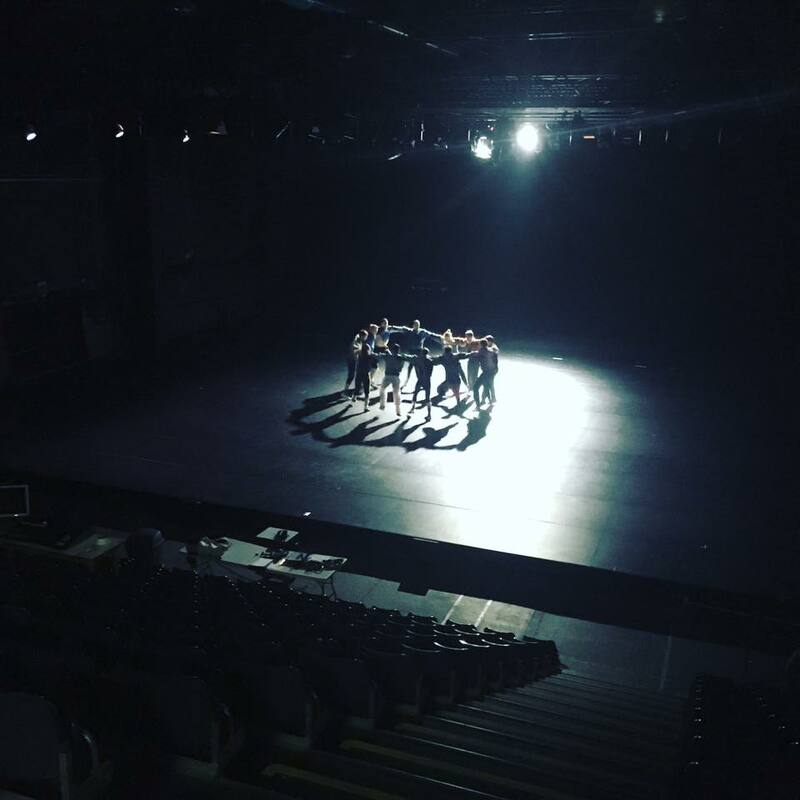 DE QUOI SOMMES NOUS FAITS // Andreya Ouamba new dance piece // research residency @ Pôle Sud – Strasbourg – premiered 16th of march at Atelier de Paris – Carolyn Carlson. 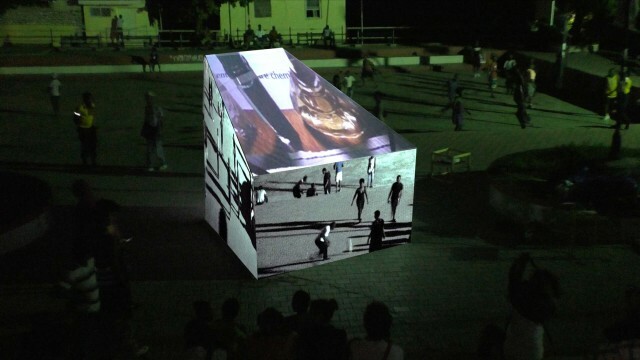 A projet with Catherine Boskowitz, Kouam Tawa… [scenography and videos]. Chroniques d’une révolution orpheline // 21th of october in Anvers. URBAN SCENOS STRASBOURG // Beginning of a 2 years process in the neighborhood of La Meinau // Pôle Sud, HEAR [Play>Urban research program]. And beginning of a Fictions Ordinaires process in Strasbourg, which will culminate in march and may 18. 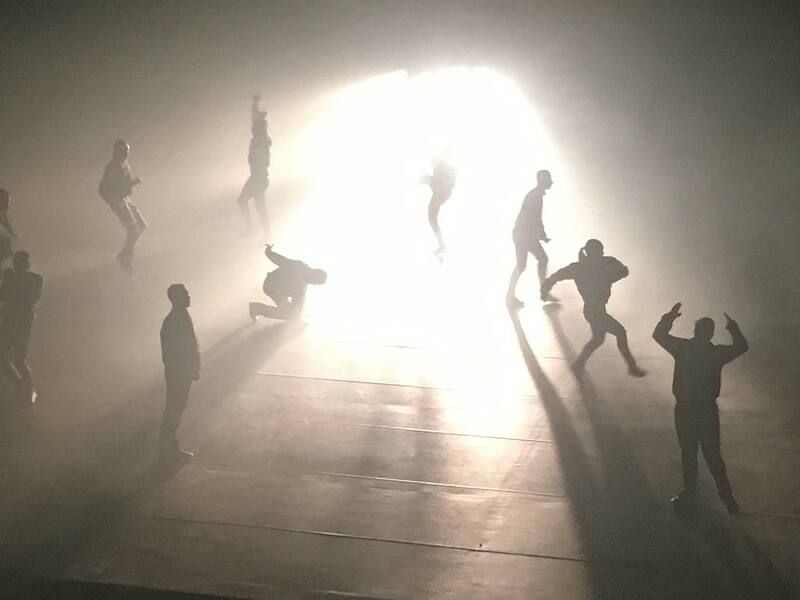 With [La]Horde for TO DA BONE creation // External point of view // Premiered at Charleroi Dance festival, oct 27-28 2017. TRAVERSES#1 // Leyla Rabih – Maxime Chudeau // CADA & Theater Choisy Le Roy // First sept of a long term process with asylum seekers, migrants. HEAR Strasbourg // 11 diplomas by students at the Scénography department // 26-30 june 2017 at Manufacture des Tabacs. HUNTING AND COLLECTING, installation by Sammy Baloji [scenographic collaboration] // Palais de Tokyo for Exhibition ‘Dioramas’. FICCIONES COTIDIANAS in Fort de France // At Tropiques Atrium Scene Nationale // With Catherine Boskowitz. Chroniques d’une révolution orpheline at Theatre en mai, festival, Dijon. Publication in the Chimurenga Chronic of a text on Unathi Sigenu’s work. 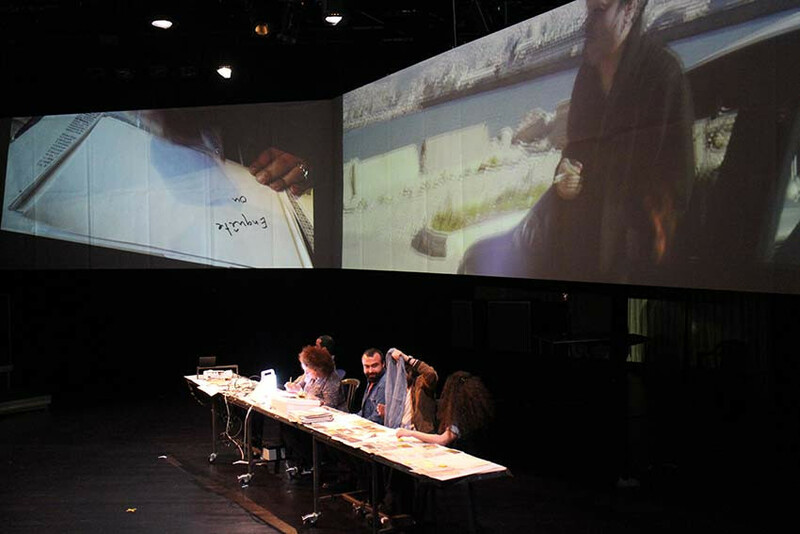 Chroniques d’une révolution orpheline // Mise en scène Leyla Rabih // Scenography and videos. Antoine m’a vendu son destin [Sony chez les chiens] // Written and directed by Dieudonné Niangouna // Scénography // Creation in Annecy and at Théâtre National de la Colline. 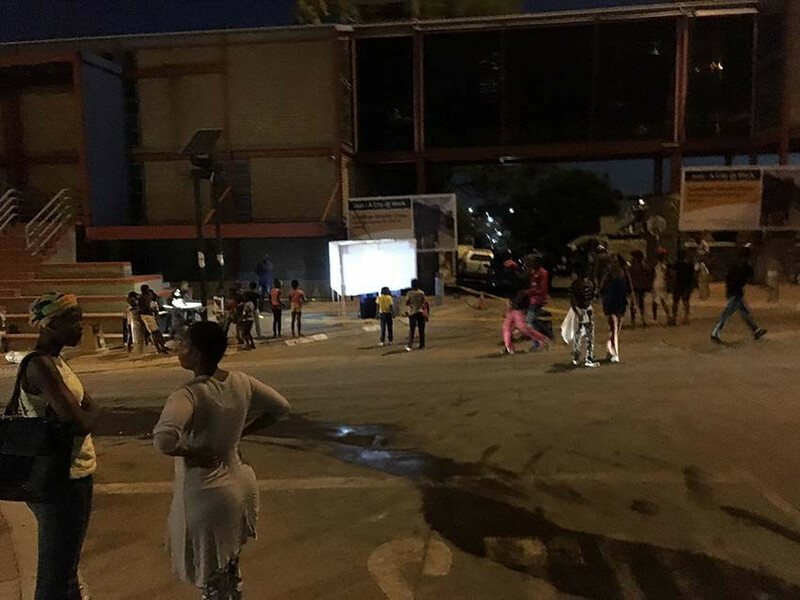 Inhouse festival Johannesburg // Sello Pesa and team // Map Chach yon ville installation in urban space // Alexandra. Residency in Berlin for Chroniques d’une révolution Orpheline // Leyla Rabih. 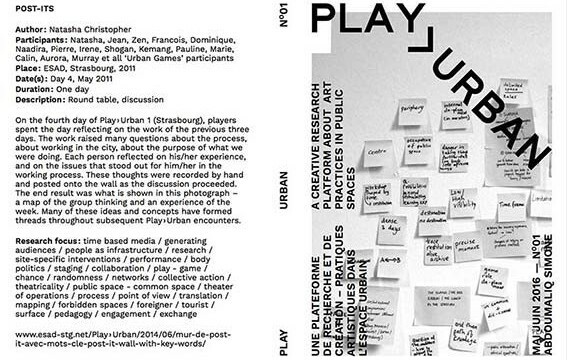 PLAY>URBAN REVUE, publication of the first issue of the revue : People as Infrastructure. 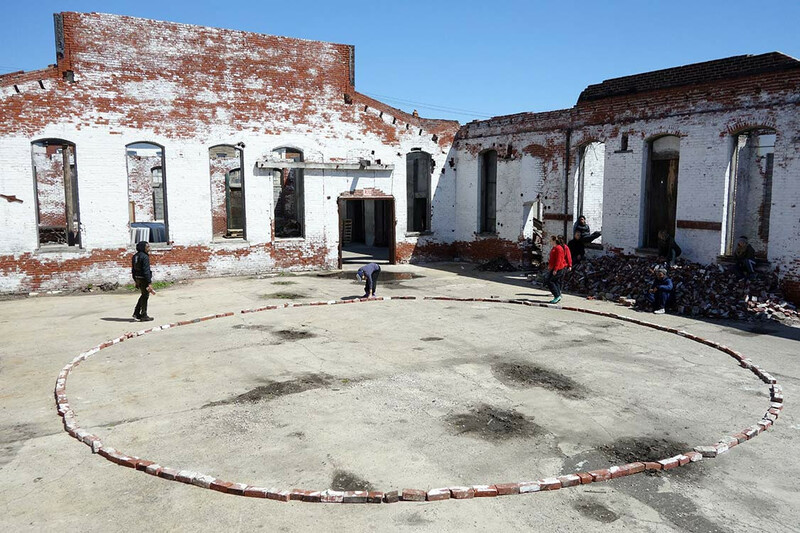 11-21/03: Preparatory trip in Bogota [Colombia], in the perspective of the 2017 project with Catherine Boskowitz. 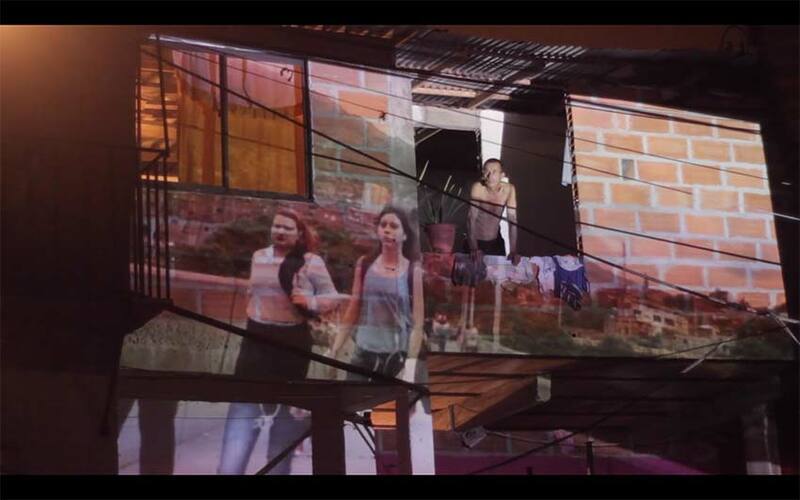 01-21/02: CHRONIQUES D’UNE REVOLUTION ORPHELINE // Mohamed El Attar // A project by Leyla Rabih // 19-20 jan > Beyrouth (Mansion) and 27-28 fev, Paris (Confluences). 4-22/01: ACTIVATED OBJECTS, a residency in Strasbourg (HEAR) // First part of a French-Corean project // Upcoming second part : Séoul, sept 2016. 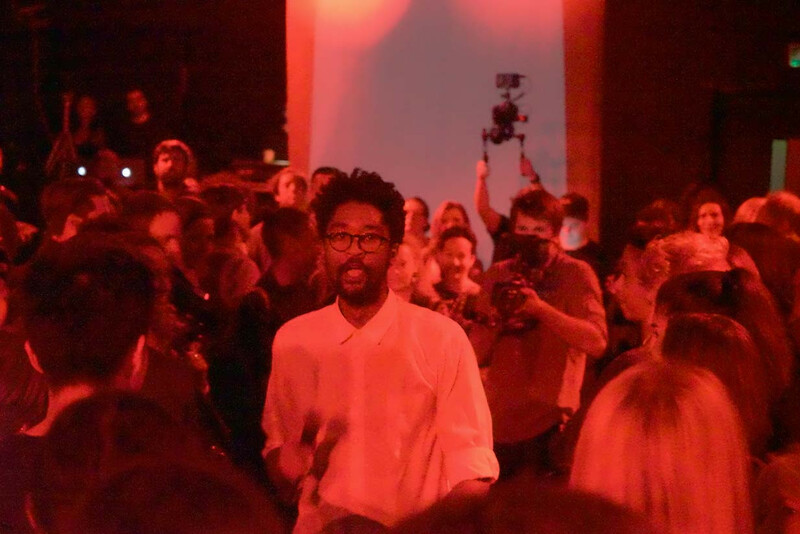 06/11: THE AGE I DON’T REMEMBER (A SLAVE OF ETERNITY) // Performance by Nastio Mosquito at ICA – London // Scenography for a music performance. 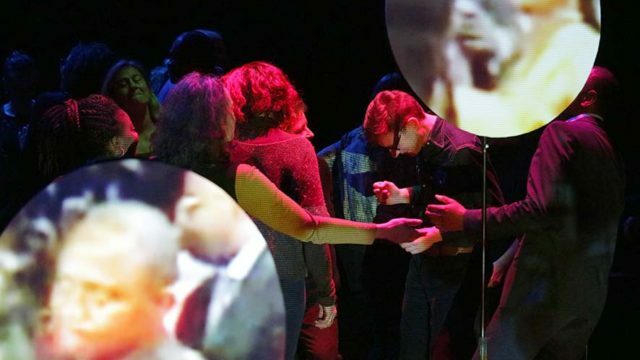 07 – 28/11: URBAN SCENOS in Port au Prince – an invitation by the Festival des quatre chemins // Artistic director Guy Régis Jr.
01-02/10: ‘BANANA REPUBLICS – HERE BE DRAGONS’, a project by Boyzie Cekwana & Nina Stottrup Larsen, Kampnagel Hamburg // Scenography. 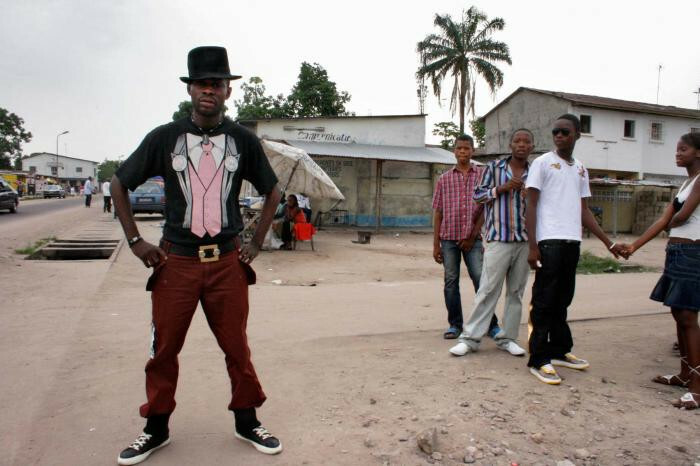 03-18/10 : ‘J’AI ARRETE DE CROIRE AU FUTUR‘ Andreya Ouamba – Francophonies, Limoges, 3 oct // Théâtre Jean Vilar, Vitry sur Seine, 10-11 oct // Théâtre de la Ville, Paris, 14-18 oct. Installation by Sammy Baloji at the Lyon Biennale // Scenography. 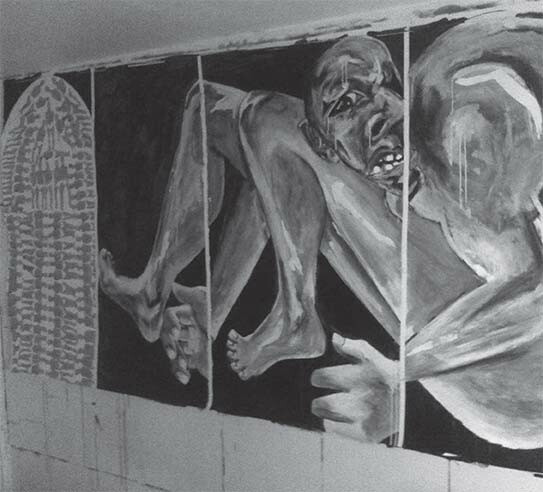 Opening on the 8th of sept.
09/07 : Exhibition opening at the Fondation Cartier ‘Congo Kitoko‘, 90 ans de peinture congolaise // Text in the catalogue, co written with Dominique Malaquais about Eza Possibles collective & interview from Kiripi Katembo. 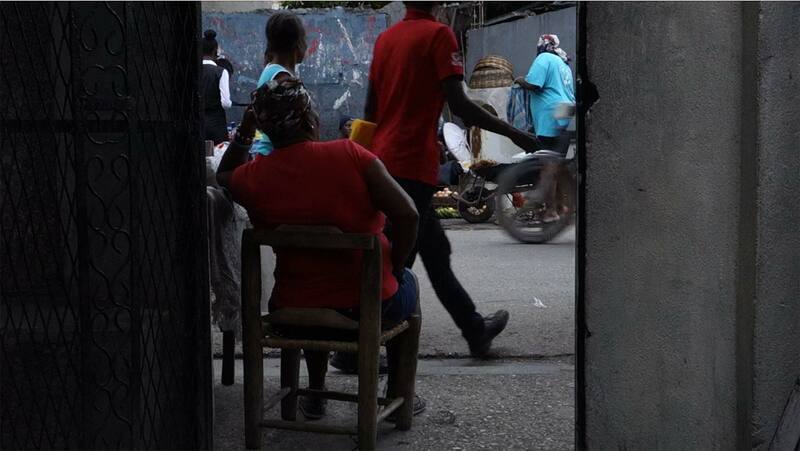 10/07 – 09:00-10:30 : ECAS conference, Paris : ‘Not no place, images of the african city’ – A Panel discussion by Bettina Malcomess & Dorothee Kreutzfleldt. 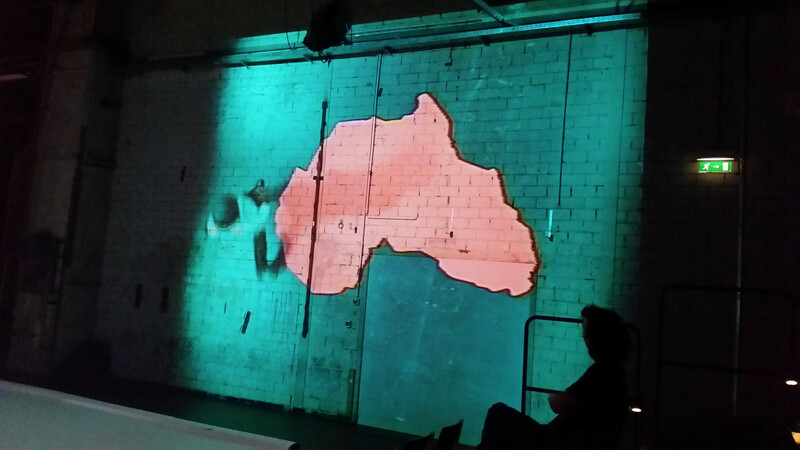 Scenopolis festival at the Hall des Chars, Strasbourg. 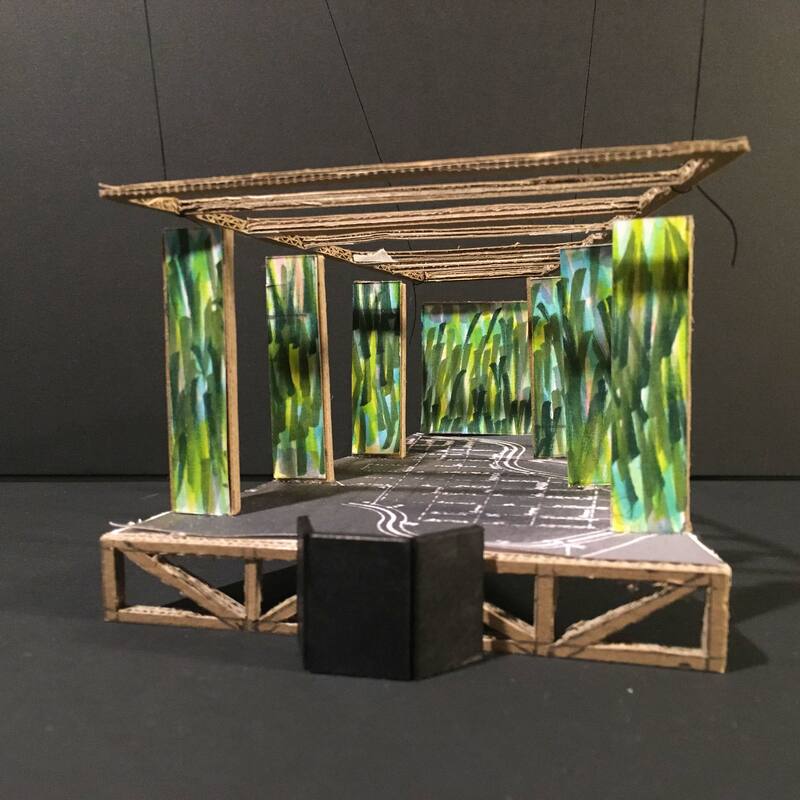 A collective project by 12 graduating students of the Scenography department at HEAR. Performances from june 24 to 28. Preparatory trip in Beyrouth for a project on a series of texts by Mohamed el Attar. Director Leyla Rabih. Upcoming : a residency in Beyrouth, feb 2015 at Zoukak and Mantion. 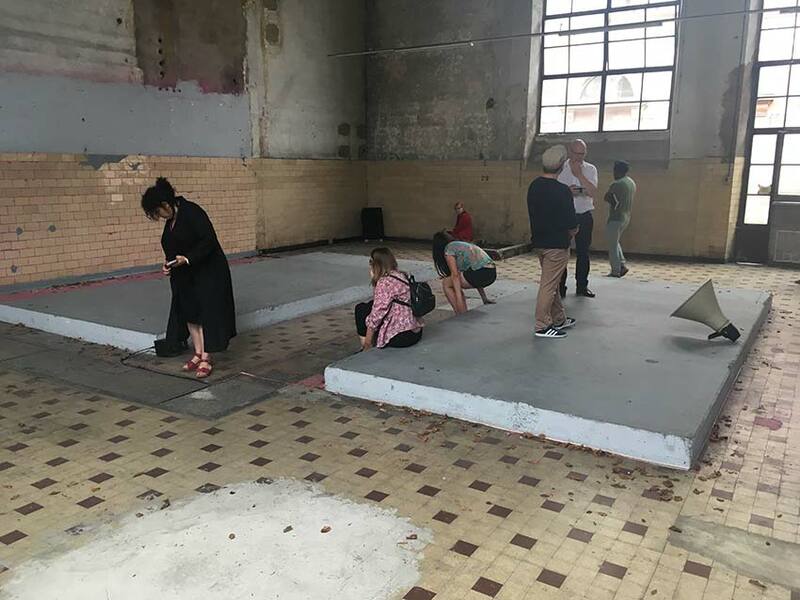 The performance will be premiered in 2017 at the Tarmac theater, Paris. ‘FREE JEW IS CHEAP AT TWICE THE PRICE’ – Steven Cohen residency at the HEAR Strasbourg. 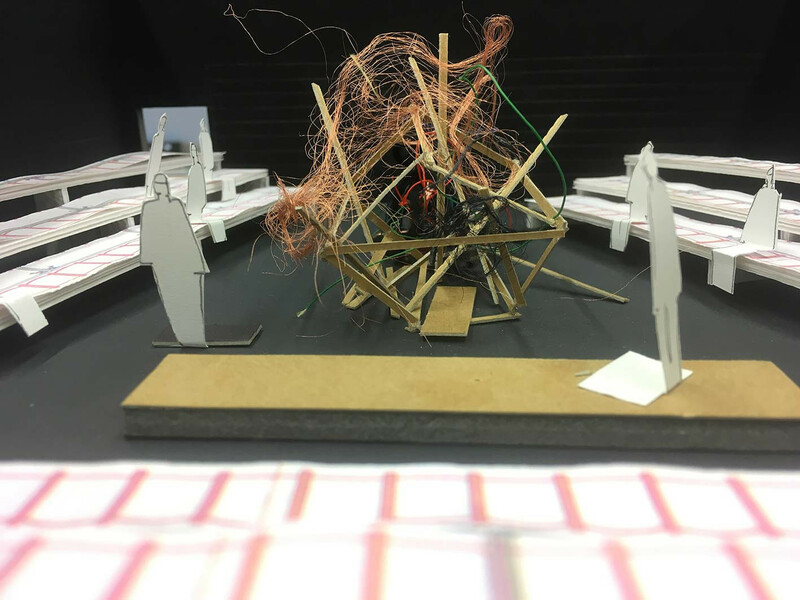 An invitation by the Scenography department in co realisation with Pôle Sud and the Frac Alsace.